(ADL) (Sault Ste. Marie, ON) 1973 - 1995. Photos. Framable Color Prints and Posters. Digital Sharp Images. Aviation Gifts. Slide Shows. 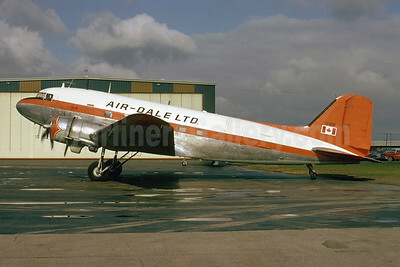 Air-Dale Ltd. Douglas C-47B-DK (DC-3) CF-ADB (msn 33540) YYZ (Bruce Drum). Image: 103577.